I'll be getting married! It's crazy - once you hit the "1 month" mark, time just starts flying by. 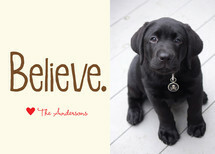 I'm a whirlwind of emotions - excited, nervous, anxious, happy, stressed! I still have tons of stuff to get done before the BIG day (get your RSVP's in people) and much of it has to wait until the last minute. 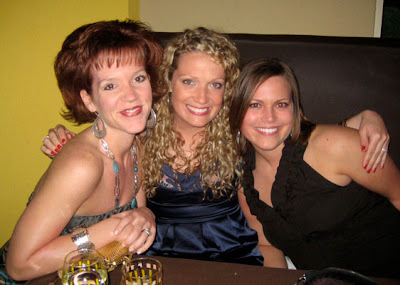 I had an amazing bachelorette night out with the girls this past friday. Yesterday I went in for my second dress fitting. Today I'm heading to Costco to fill up on mass amounts of treats for the out-of-town treat bags. 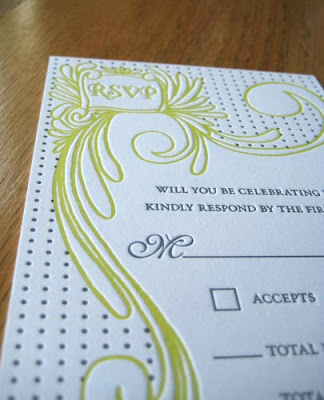 Lately, five minutes can't pass before my brain defaults into "wedding mode." I'm so excited to be getting married to Luke and then relaxing on the beach for 7 straight days with him! However...there is a part of me that is going to miss this crazy thing we call wedding planning. As much as I hate it, I LOVE it even more. I'm not going to go as far as saying it will be depressing to be done with this, but bitter sweet...sure. Does anyone else feel the same way? 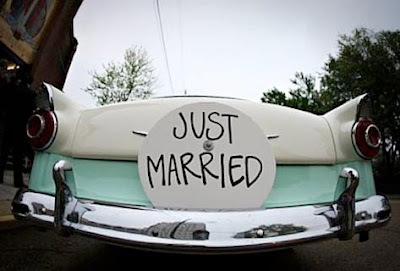 Or have you recently been married, and after all the festivities were over, felt a little sad? 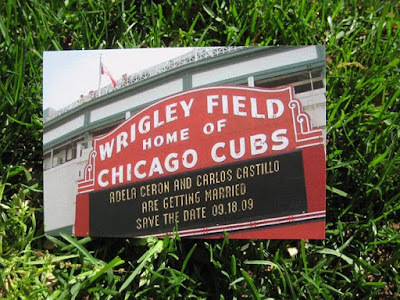 Always one of my favorites...the personalized Wrigley Field (Chicago Cubs) save the date postcard. 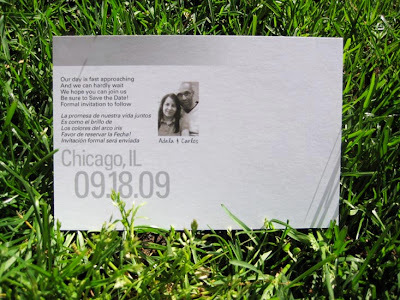 Adela and Carlos ordered these last month for their September 2009 wedding. 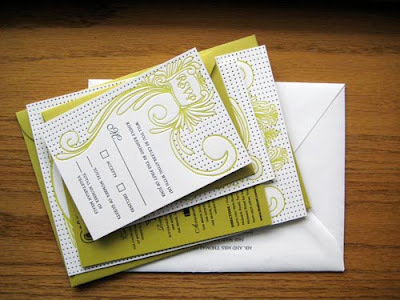 Each card was printed on a beautiful matte cardstock with full color front and black/white back. Since many of their guests will be coming from out of the country, I created the back of the postcard in a bilingual format. Go Cubs! 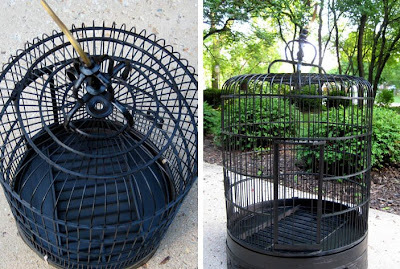 Bird cages seem to be all the rage these days...especially at weddings. 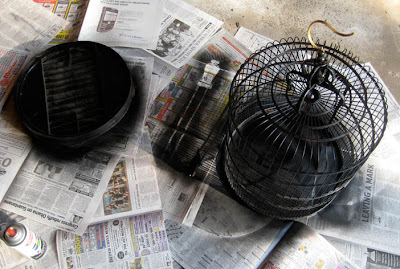 Luckily, I have a mother who has and still occasionally collects bird cages. 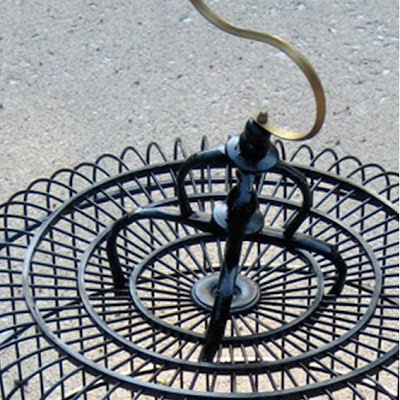 She had an old, yet perfectly sized, wicker bird cage from the 1980's. It started out mauve (such a 1980's color! 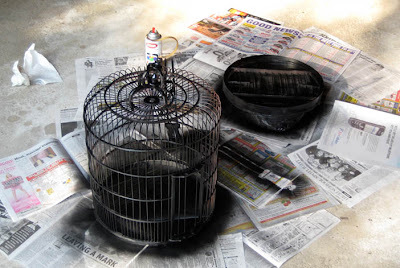 ), but with a $5 can of black spray paint and about an hour of my time, it turned into a beautiful bird cage/card holder for our wedding. I'm sure it will look even better once the florist adds some floral "flare" to it...do you have any similar DIY projects to share? 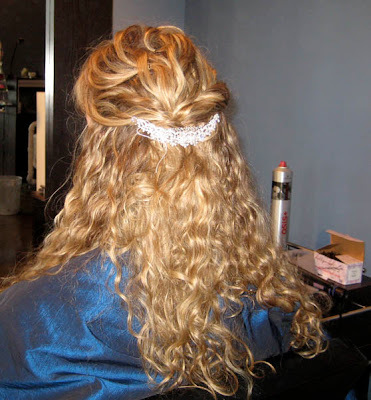 Trial Run - Wedding Hair! Here's a photo from my "trial run" appointment at the salon. I'm happy with a couple of things...1) the way the back turned out (above) 2) the rhinestone hair accessory we found and 3) the twisting of the top pieces in the back. I'm still not sure about the front/top part of my hair (not shown)...and it is kinda starting to stress me out. Should it be flat, high, poofed up? Straight or curly? No part, parted in the middle, side part? Hair swept across forehead, tendrils...? I guess I'll have to play with it some more. I think your hair on your wedding day is one of those things that you want to get right, otherwise you won't be happy with any of your photos. Thoughts? Long holiday weekends usually mean trips to the lake and fun-filled BBQ's with friends. 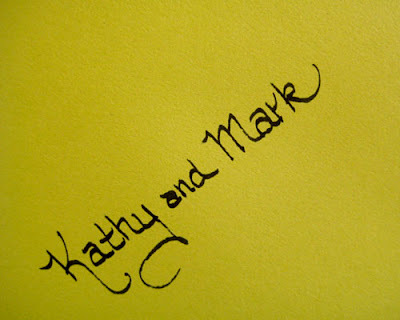 This year it was all about the wedding and checking things off my "to-do" list! I got a ton done and even managed to get in some much needed spring cleaning (our place was such a mess after the bridal shower!) and a Cubs game. 3. 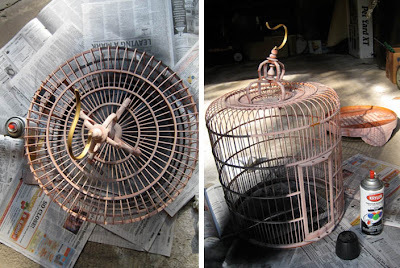 Paint bird cage - to be used as "card holder"
I think there might be more, but my brain isn't functioning properly today. 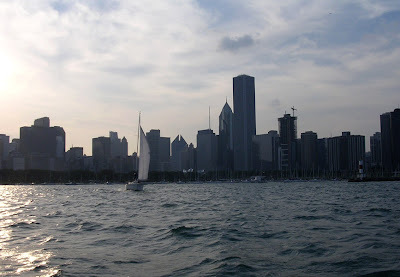 Check in throughout the week for some great photos I took this weekend! I hope everyone has a really great weekend...see you back next week! Check out these beautiful gowns and shrugs by Kitty Chen Couture. 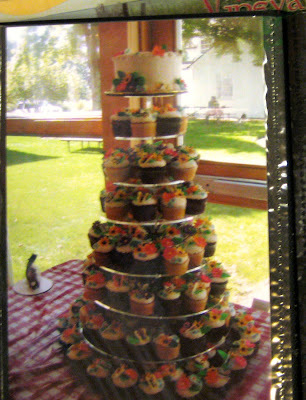 Similar to the kind of "cupcake tower" we'll be having at our wedding... minus the multi-colored flowers and frosting decor. Our cakes will be simple, with white frosting and coconut. We'll be cutting into the 6" round cake on top! Image source. 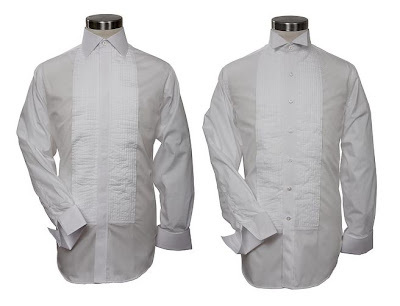 I think many of us (ladies) can say we've been guilty throughout the wedding planning process of overlooking the men in our lives...especially their wedding day attire. Today, I wanted to devote my posting to the guys...and some awesome tuxedo shirts and snazzy cuff links I found. Alexander West is the company behind the beauties below. 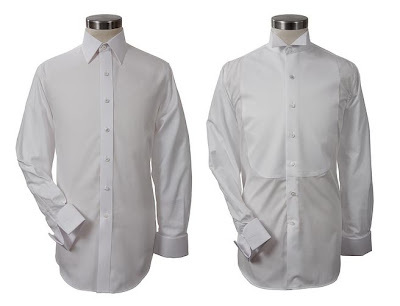 AW is a "Manhattan-based clothier specializing in the finest custom-tailored shirts and unique cuff links." 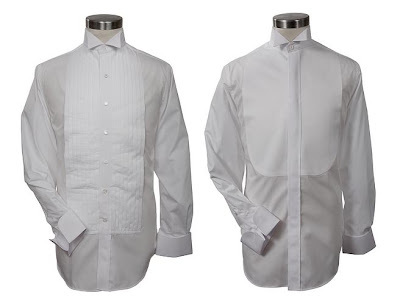 Luke has a few shirts from Alexander West...they fit perfectly and are of the highest quality. I would highly recommend! 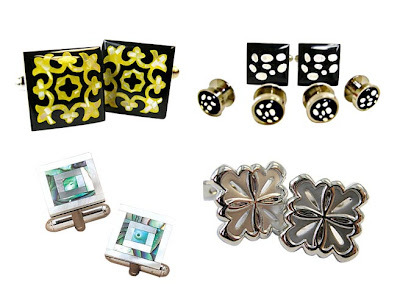 For those of you looking for the perfect "from bride to groom" wedding gift, cuff links are a great idea. The ones above are just some of my favorites from Alexander West. For their full collection, go here. Wouldn't the black and white beauties (top right) be awesome for a black and white wedding?! My Mom is the best Mom ever! 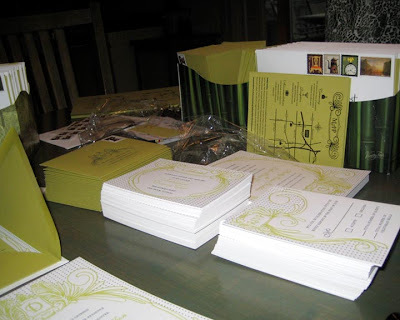 We had the invitation "assembly line" rock'in when we put everything together...we make a great team! 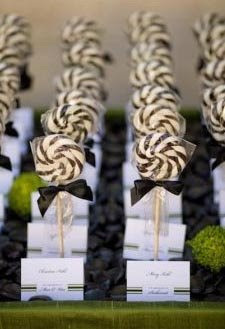 love the black and white lollipops! 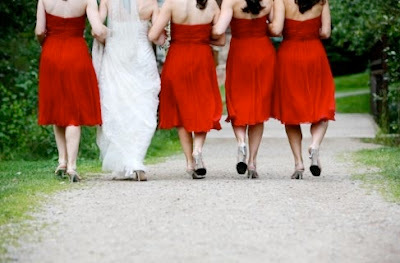 great shot - I definitely want to recreate this on my wedding day! I love, love, love those yellow billy ball things! 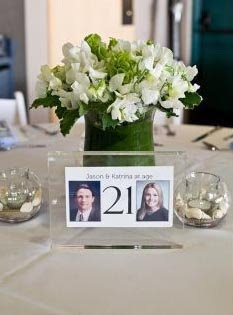 table #'s = photos of bride/groom at that age! 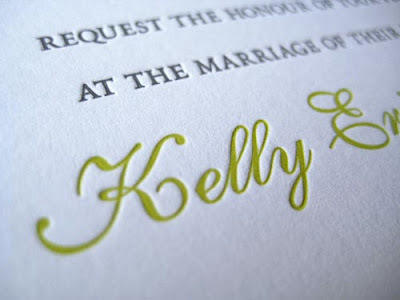 Joanna came to me a few months ago looking for a wedding logo for her October nuptials. 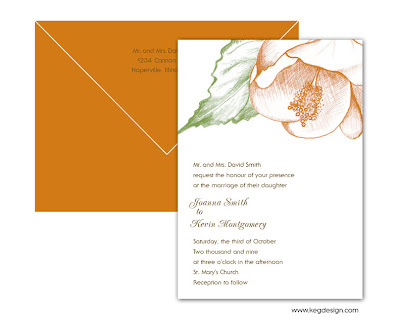 The above design is one of many that I created for the couple. Overall, they wanted a "fall" feeling, using oranges, greens and browns. 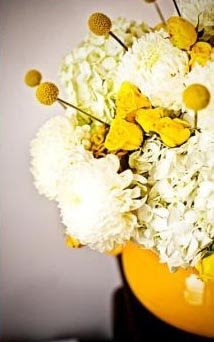 They also wanted to incorporate a floral element from something that will be present on their wedding day. 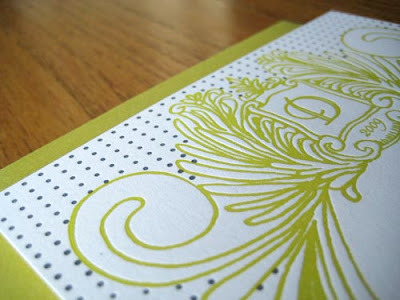 The above design is delicate and artsy (hand drawn by me), while still keeping things feeling fresh. As you can see from the above logos, font choice really does matter...a sans serif typeface keeps the logo feeling modern and a bit more informal, while a script face is more romantic and formal. And this. And this. We were busy this past weekend! We had our tasting for the reception (including wine!) on friday night, followed by our cake tasting at the bakery we've decided to use on Saturday. Can you tell that I LOVED the carrot cake sample (above). It was so yummy, including real carrots and macadamia nuts. 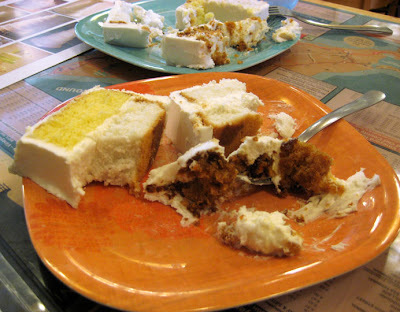 The "pina colada" cake was also awesome! 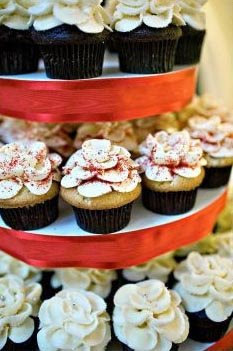 Lucky for us, we've decided to go with a cupcake tower, so we don't have to choose just one flavor. We also met with our minister and organist at the church. Still so much to do...we're only 40 days out! 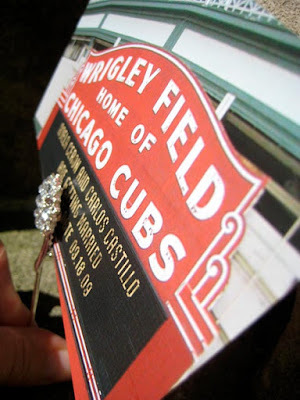 I love when I stumble upon a great wedding blog! 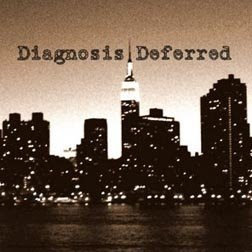 I came across Diagnosis Deferred last week. 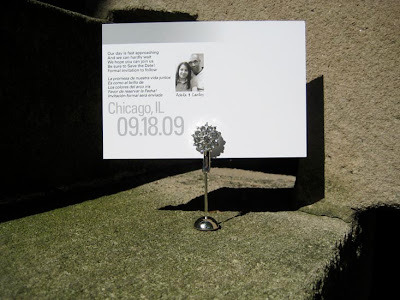 Teresa, the creator behind the blog (and bride-to-be), writes great posts - and funny ones too! I was reminded of Diagnosis Deferred yesterday, when Teresa commented on my wedding invitations and left very kind words. Like Teresa, I recently got back from my "bachelorette" weekend in Vegas. I couldn't have written my feelings about that town any better than Teresa did. I agree with all of her thoughts on Sin City...the smoking indoors (super gross!) and the never ending amount of bachelorettes with blow-up dolls and tiaras (annoying!). My girlfriends and I were also one of the only bachelorette groups who did not tote around any obnoxious things. 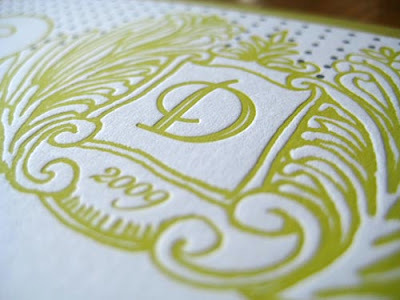 Top of the 5x7 invitation card - I used "D" as our monogram letter. Another view...I'm still uncertain if I'll be taking Luke's last name. 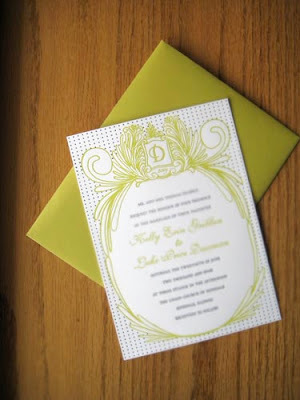 Full view of 5x7 invitation with chartreuse inner envelope. 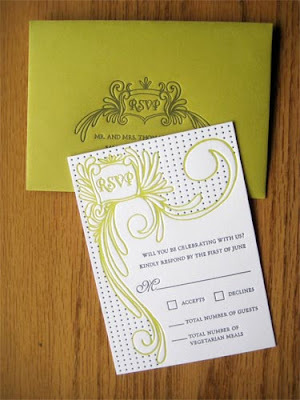 The RSVP, or "reply" card. 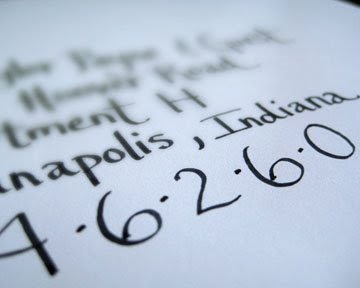 Check out the letterpressed envelope!!! 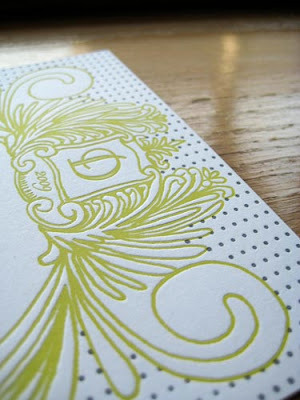 This is my favorite scroll design...I love how fluid and organic it is. 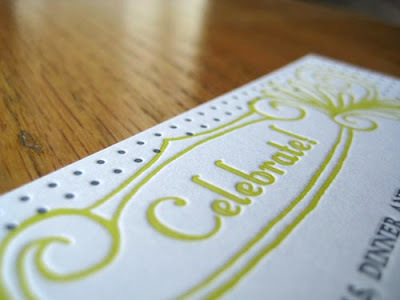 Top of the #4 reception card...it's all about celebrating! The dots in the background added that "final touch" I was looking for. 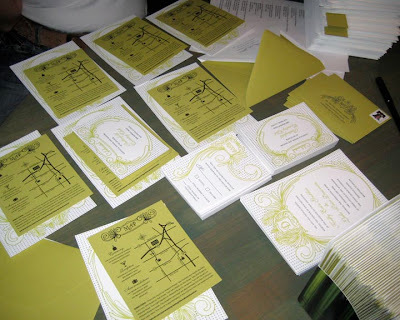 The full invitation suite...map included. 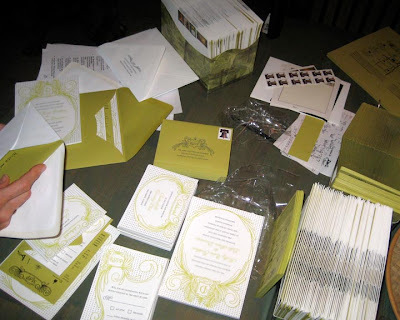 My Mom and I hand addressed all of our invitations - which included the mailing address on the outer envelope and the informal names on the inner envelope. It was a lot of work, but well worth it! 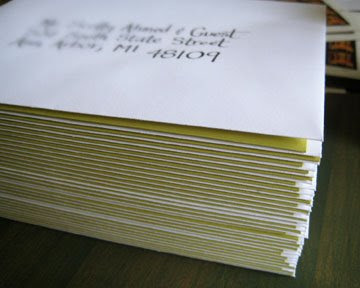 I couldn't bear to send out letterpress invitations with address labels. More photos tomorrow!